The decision to purchase a case fan is based on multiple considerations. 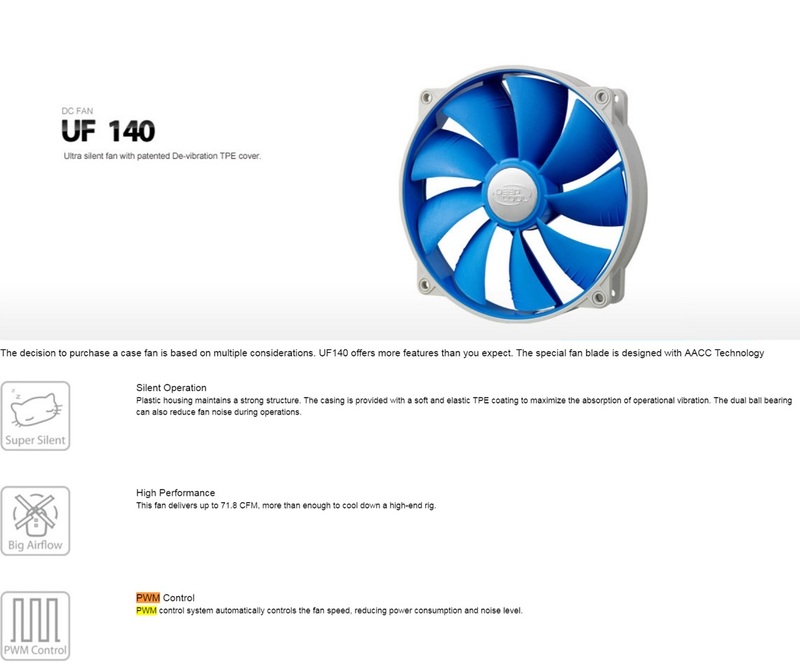 UF140 offers more features than you expect. The special fan blade is designed with AACC Technology (Airflow Auto-Control Channel) to optimize airflow uniformity. 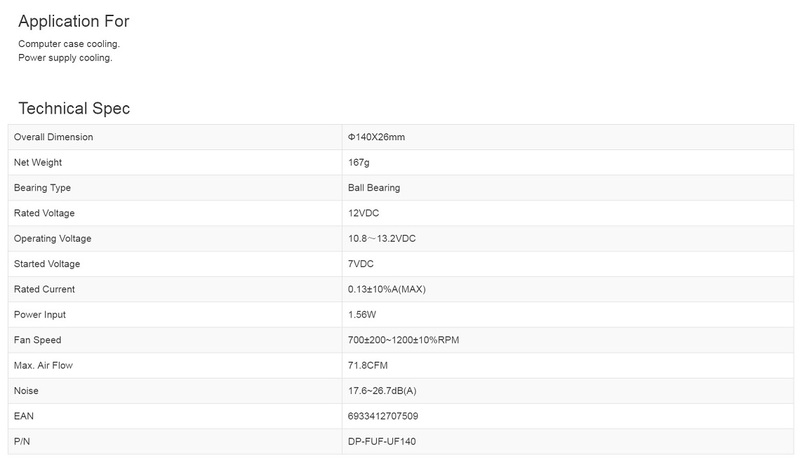 Double-ball bearing design also ensures smooth rotation and long lifespan of the fan.